This workshop will offer a hands-on experience analyzing healthcare data. Attendees will use MS Excel, the R statistical software package, and Tableau to prepare, describe, and visualize large healthcare datasets. Data will be analyzed in MS Excel using intermediate and advanced functionalities that will help improve the efficiency and accuracy of an analysis. The R statistical software package is an open source platform that utilizes a scripting language to analyze and visualize data. Tableau is data visualization software and attendees will learn how to create interactive summaries and dashboards. Ultimately, attendees will learn how to leverage cost-effective tools for preparing and visualizing data. At the conclusion of the workshop attendees will have greater confidence analyzing healthcare data with cost-effective tools to transition data into information for key stakeholders. We encourage you to have MS Excel (preferably 2013 and above). Participants will be required to download and install R and Tableau prior to the workshop. Instructions for download will be emailed one week prior to the workshop. David Marc, PhD, CHDA is an assistant professor, the health informatics and information management department chair, and the health informatics graduate program director at the College of St. Scholastica in Duluth, MN. Dr. Marc has a master’s degree in biological sciences and a PhD in health informatics from the University of Minnesota and is a certified health data analyst (CHDA). He served as the former chair of the AHIMA foundation research network and currently serves as an elected member of the AHIMA Council for Excellence in Education (CEE) where he co-chairs the Educational Programming Workgroup. 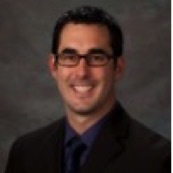 Dr. Marc also serves on the HIMSS Scholars Workgroup and the HIMSS Student and Early Careerists Committee. Dr. Marc is a frequent speaker at state and national meetings and workshops where he speaks on topics related to healthcare data analytics. He is an accomplished researcher and author on topics related to health informatics and information management workforce trends. Ryan Sandefer, PhD is the Assistant Vice President for Academic Affairs at the College of St. Scholastica. His he will coordinate and integrate planning efforts around new and expanding non-traditional programs. Through the use of data analytics and metrics, Dr. Sandefer deepens the college’s culture of evidence and the use of data in strategic decision making. He ensures the alignment of initiatives with the College’s mission and values, especially the challenge of creating community among online and extended site learners. Dr. Sandefer is also an associate professor and former chair of the Department of Health informatics and Information Management at the College of St. Scholastica. Currently, Dr. Sandefer teaches courses in consumer informatics, data analytics, and research design. Dr. Sandefer has a master’s degree in political science from the University of Wyoming and completed his PhD in health informatics from the University of Minnesota. Currently, Dr. Sandefer serves as the past-chair of the AHIMA Council for Excellence in Education, a current presenter for the AHIMA faculty development regional meetings, and an instructor for the CHDA exam prep workshops. 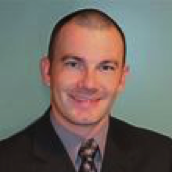 Dr. Sandefer has extensive experience working with large healthcare datasets and analytic procedures. Recently, Dr. Sandefer co-edited the textbook Data Analytics in Healthcare Research: Tools and Strategies through AHIMA press, which offers a unique opportunity to experience big data from a hands-on perspective using open source tools and data. For technical assistance with the webinar, please contact centraloffice@ghima.org. This is a complete series and individual webinars may not be purchased separately.